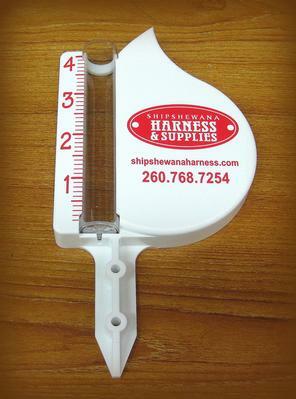 Keep track of the rain in your area with this Shipshewana Harness rain gauge. Just stick it in the ground or mount it on a fence post and wait for the rain to come. The clear plastic tube easily slides up to make emptying and "resetting" a cinch.